Google announced that it has acquired Slide, a start-up that develops social apps. TechCrunch reports that Google paid $228 million for Slide, after investing in Zynga, one of Slide’s competitors. It’s obvious that Google plans to launch a social service to compete with Facebook, but it’s not clear why it would buy a company that develops apps like SuperPoke, SuperPoke Pets or FunSpace. Maybe for Slide’s engineering talent, Slide’s valuable analytics data or maybe because it couldn’t buy Zynga. Since Facebook has the Internet’s main social graph and stores data about more than 500 million users, all the cool social apps integrate with Facebook. In the future, every web application will have a social component, which will probably powered by Facebook, a closed social network that traps user data. OpenSocial is a Google project whose goal was to create social apps that work in any social network. 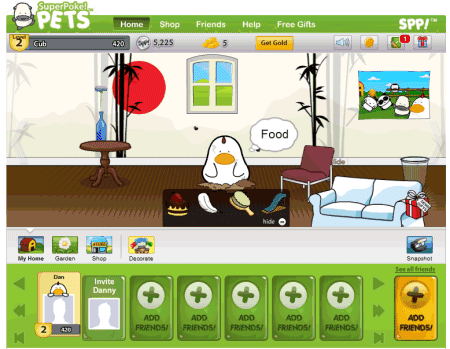 FriendConnect was designed to transform any site in an OpenSocial container. Buzz is the epitome of openness, by embracing open standards and allowing anyone to access the firehose, which includes public activity from every Buzz user. Unfortunately, these projects haven’t been very successful, so Google will have to build a social network on top of OpenSocial, Google Buzz and Google Profiles. The project is crucial for the future of Google search, Google ads, Google’s web apps and maybe more than that. Peter Norvig says in an interview that Google’s biggest mistake was ignoring social networking.